“Christmas Special” is a modern fairy tale I wrote that bridges my Road Ghosts books with the upcoming Tipsy Fairy Tales. It stars Enid, who you may have met if you read “Spectral Delivery” early this year, and she’s joined by Gonzo and the Transit King, a jovial gnomish “fairy Godfather” who travels the straight tracks on buses and trades in favors owed. 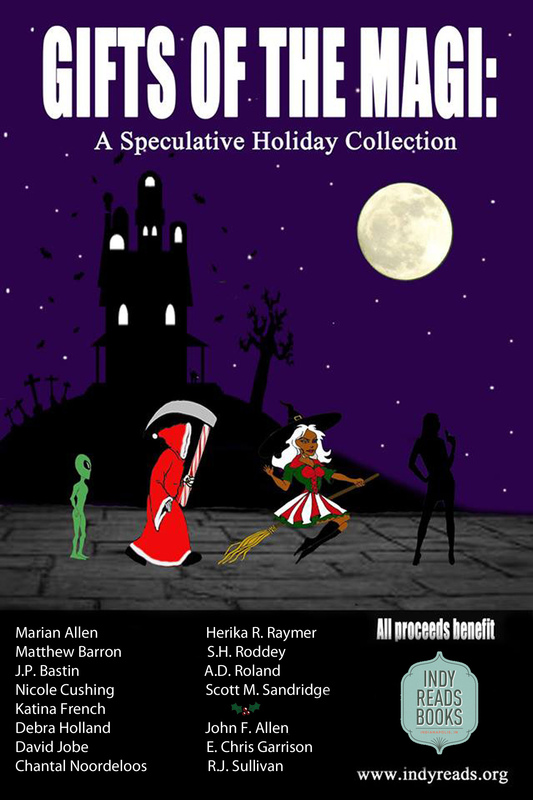 I wrote the story as a part of the Speculative Fiction Guild’s charity-benefiting anthology, “Gifts of the Magi: A Speculative Holiday Collection”. All proceeds benefit Indy Reads Books, an Indianapolis area literacy charity. We’ve been very excited about the buzz our first anthology release has received, but what’s a book these days without a spiffy book trailer to help give it a push? Yep, that’s what we said, too, so co-editor R.J. Sullivan learned how to use a free slideshow program in a hurry, and, several handfuls of hair later, presented us with the following for your viewing pleasure. Paper copies of Gifts of the Magi: A Speculative Fiction Collection were dropped off at Indy Reads Books, so you can pick up your copy there or order yours online. A great Christmas gift! Available in Kindle ebook, too. All proceeds benefit Indy Reads’ adult literacy programs. Click here to see the dedicated page. We’ll have a vendor’s booth with all of our titles, where we will be selling and autographing copies of our novels. 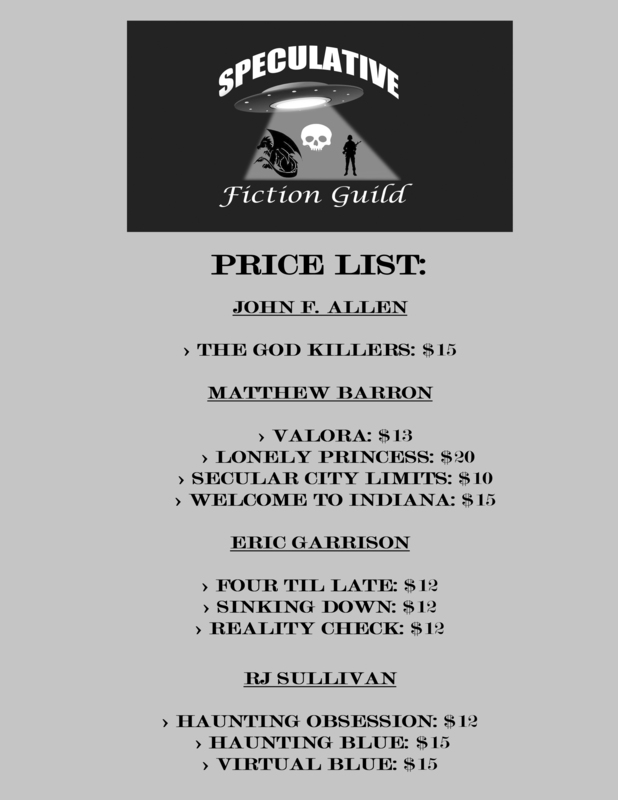 Authors at the SFG booth include: John F. Allen, Matthew Barron, Eric Garrison and RJ Sullivan. Directly next to us will be SFG member Crystal Leflar, who’s running her OWN vendor booth as event marketer for Nightscape Press, so check out their array of titles along with her own books.